Margaret was elected Treasurer of Waterford Township in 2006, a community of now approximately 73,000 residents. As Treasurer of Waterford, she is also responsible for payroll and benefits, administrator of two defined benefit pension plans, a Retiree Health Care Trust, a defined contribution plan and a member of the Board of Trustees. Margaret earned the designation of CPFIM in 2010, and her CPFA in 2011 which was renewed in 2016. She earned her MiCPT in 2014. She also wrote and had the Township’s investment policy certified in 2008. She earned a Service Award from the APT US&C in 2015. Margaret’s passion is water-skiing the slalom course. She competes on a local, regional, and national level. She lives with her husband, Paul, who supports her in everything she does, and their sweet dog, Tina. Margaret and Paul enjoy dancing, and began taking lessons almost four years ago, which allows them to do something they both enjoy together. Margaret believes this organization provides not only education, but support and camaraderie which exceed any organization she has ever belonged to. Rande joined the Village of Pentwater in November, 2017. She was previously the Village of Dryden Treasurer, serving there since 2007, accomplishing the reorganization of Village accounts payable and accounts receivable departments. She also created a new billing system for water/sewer and property tax. In 2008, the Building Department was brought back under the umbrella of the Village Offices and Rande launched the Village of Dryden website. She was appointed to and has served as the Secretary of the Downtown Development Authority from October 2009 to 2017. As a member of the DDA Board, Rande co-chaired the Annual Dryden Fall Fest each year. For eight years, Rande also served as the Secretary for the Lapeer County Treasurer’s Association. Rande earned the designations of Michigan Certified Professional Treasurer in May 2011, CPFIM in July of 2012, and CPFA in August 2014. Rande is a volunteer at her church and also serves as the Ministry Head for the Multi-Media Department. Rande and her husband Dan have been married for 32 years. They have three children, Ryan married to Jessica, Jessica married to Jason, and Ally. Rande and Dan are blessed with beautiful grandchildren and enjoy camping and other outdoor activities in their leisure time. Tricia was appointed Deputy Treasurer of Hamburg Township in August of 2010. Prior to being appointed to her position, she worked in the hospitality industry in finance since 1992. In 1992, she graduated from Clarenceville High School and pursued a career in Finance. Tricia has been a member of the Michigan Municipal Treasurers Association since 2011. In April 2013, she graduated Basic Institute and received her MiCPT certification. Tricia takes so much pride in being part of such a wonderful organization; MMTA has been such a big part of her success and growth both professionally and personally. When she first became a member of MMTA, she wanted to become more involved so she decided to serve on different committees such as Education Committee, Communications Committee, and Membership Committee. Tricia just wanted to give back to the organization that has done so much for her. Tricia now serves as a Director on the MMTA Board and serves as a Director on the APT US&C Board. Since becoming Deputy Treasurer in 2010, Tricia has worked with her Treasurer’s office staff as well as the directing of finance to now have 5 years of excellent audits reviews. Due to the outstanding effort, determination, and teamwork, Hamburg Township’s Standard & Poor bond rating has gone from a B in 2009 to a AA rating as of today. Tricia has also re-implemented the procedures to enforce the collection of delinquent personal property taxes, which has increased the collection to 50% collection rate compared to prior years. In April 2014, Tricia became CPFIM certified which has helped her move forward with investing for her municipality. Tricia is very personable and truly enjoys the interaction with her residents as well as her co-worker; she is always willing to step in and help in other departments without hesitation. Tricia is the mother of three beautiful children: Sedric, Trevor and Brianna, and in her spare time, she loves to go camping with her children, and spend time with her family and friends. She is the type of individual who loves to always be around laughter and happiness and is always smiling. Everyone knows her as fun loving and easy to get along with, but will be tough when she needs to be. She sets goals, and aims for the stars in life; no goal is ever too high to reach. Susan was elected Treasurer for Green Oak Charter Township in 2004. Prior to being elected, she started her own accounting and tax firm in 1991. She was elected and served on the Livingston County Treasurer’s Association Board from 2009 to 2012, serving in all positions including Chair for two years. She has served on the Whitmore Lake Chamber Board since 2009 and serves on Advantage Livingston Placemaking Committee, regional economic development, communications, technology, personnel, and sewer committees for her township. She also serves as the utility administrator for the township. Susan received her Bachelor Degree in Business Administration in 1981 from John Carroll University. Susan joined the MMTA in 2005 and earned her CPFA and MiCPT in 2009, and her CPFIM in 2012. Susan has served on MMTA’s Legislative, Fall Conference, and Education Committees for several years. She believes the education and networking opportunities the MMTA provides brings quality service back to the communities we live in. Susan has been married to Kevin for 35 years and has two sons, one grandchild, and two dogs. She enjoys spending time with her family, golfing, bowling with friends, biking and camping. Rachel began her municipal interest as a junior in high school serving as a liaison between the Student Council and the St. Louis City Council. During her senior year of high school, she worked as a co-op student at St. Louis City Hall and continued to work there throughout college. She graduated from Alma College with a Bachelor Degree in Business Administration in 2006. She was hired as the Clerk/Treasurer for the Village of Webberville and held that position for seven years. Currently, she is the Treasurer for the City of Williamston, a position she has held since 2013. Rachel has been a member of the MMTA for several years and serves on the Membership and Education Committees. She served as Parliamentarian for the MMTA Board in 2011/2012. Rachel received her MiCPT designation in 2011 and the CPFA in 2015. She is active in the Capital Area Treasurers, having helped create the group in 2009. She and her husband, Tim, have two young children, Morgan and Jackson. In her spare time, Rachel enjoys chasing after her children, biking and gardening. For the past four years, Laurie has been an active member in both the MMTA and the APT US&C. The MMTA has been a valuable asset and an essential tool in her education and growth as City of Kentwood Treasurer. Laurie has resided in the City of Kentwood for more than 30 years and is happily married to my husband, Chris, and has three beautiful children. In her free time, Laurie enjoys spending time with her family and friends, camping, golfing, and volunteering in her community. She has a great deal of her life invested in Kentwood and has a true passion to help make it better each and every day. In 2000, Laurie graduated from Davenport University with a Bachelor Degree in Business Management. For four years after graduation, she worked in the private business sector until she took a leave of absence from the workforce to focus on the care of my family. In 2006, at the request of Mayor Richard Root, Laurie began serving my community as a Planning Commissioner. She served for seven years and ultimately became the vice chair of the Planning Commission. During the time on the Commission, Laurie launched a business called Ballot Box Consulting. As a Campaign Consultant, she managed eighteen political campaigns that were all successful. Ballot Box Consulting is still owned and operated by Laurie, but over the past few years she has limited the projects so that she may focus on her current role as Treasurer. An opportunity presented itself in 2012 when she became a City Commissioner. Laurie served as City Commissioner until November of 2013 when she was elected as the City of Kentwood Treasurer. The passion and reverence that Laurie has for her community are what led her to run for City of Kentwood Treasurer. The MMTA was a great help from the first day that she took the office as Treasurer. Because she did not possess all the needed experience immediately, she leaned on the MMTA a great deal. In 2015, Laurie became a member of the Legislative Committee where she is able to use her experience to help institute changes. Through the MMTA, Laurie has met amazing colleagues and built great friendships that have enriched her career indefinitely. Julie was appointed as the Treasurer of the City of Davison in April of 2013. Prior to being appointed, she worked as the Accountant for a nonprofit organization for seven years. Before that Julie worked more than 20 years in several accounting firms doing accounting and taxes for many different types of businesses. Julie has also had her own tax preparation business since 2000. Julie says that joining MMTA was such a wonderful resource of information, knowledge, and support for learning about being a municipal treasurer; through the many educational opportunities she has made so many contacts that are great resources of help and have even become good friends. She wants other treasurers, especially people new to this type of work, to have these educational and networking opportunities. 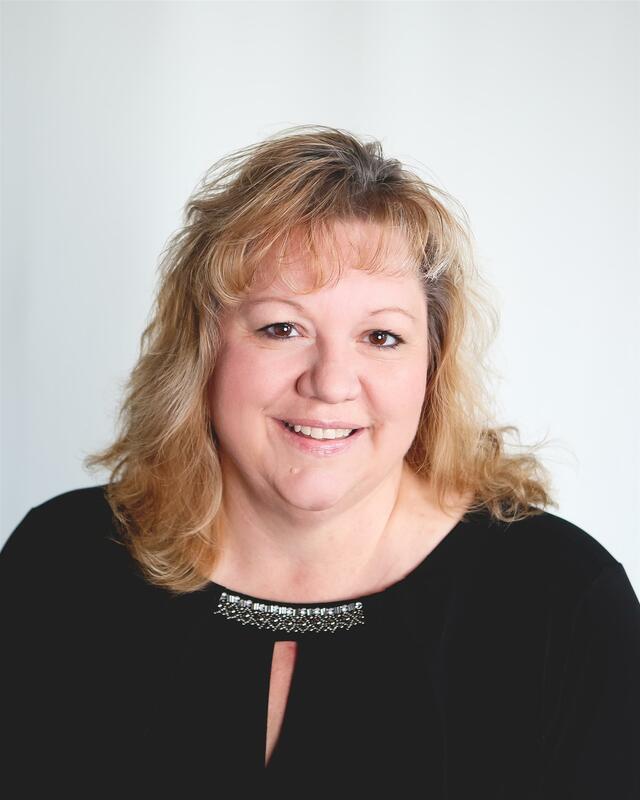 Julie holds a Bachelor of Business Administration with a major in accounting from the University of Michigan-Flint. She received the MiCPT certification in June of 2016. She became a member of MMTA in 2013 shortly after being appointed treasurer in the City of Davison. Julie has served on a church board of directors, school booster organizations, and school fundraising committees. Julie and her husband, Greg, have three fantastic children: Alex, Meghan, and Logan. Julie enjoys spending time with family, going to their family cabin, reading, and watching her youngest son play baseball. Desiree Kirkland serves as Deputy Treasurer of Financial Services for Wayne County. In that role, she is responsible for the general supervision and operation of the various financial departments within the county. Desiree has a long career in both the public and private financial sectors. She previously served as Grant Accountant for Michigan Department of Health and Human Services, Contract and Financial Manager for Ingham County Health Department, Business Administrator for Tabernacle of David Church, Internal Auditor for Michigan Supreme Court, Chief Deputy Treasurer for Ingham County, Accounting Instructor for Lansing Community College and Director of Community Outreach for Wayne County. A business owner and entrepreneur, Desiree is passionate about encouraging women to fulfill their dreams. This passion led to her development of WIN (Women In Action), a professional Christian women’s organization, in 2009. Desiree is also the owner and operator of DK Accounting and Financial Service. As a wife and mother of four sons, she is committed to building and strengthening relationships. A life-long Michigander, Desiree earned a Bachelor of Science in Accounting from Ferris State University, a Master’s degree in Christian Leadership from Grand Canyon University and is currently pursuing a MBA from Davenport University. She is a Certified Public Funds Investment Manager and a Michigan Certified Professional Treasurer. Desiree is an active Advisory Board member of Coalition for College and Career Readiness (C3R), The Davies Project, and the Lansing East Lansing Chapter of Links Inc.
Sarah Kady started working in municipal government in 1997 beginning her career as Deputy Clerk/Accounts Payable Clerk for the City of Marlette and has been with the City for twenty years. Sarah’s job description matured by being appointed as City Treasurer in November of 2009 and Finance/General Ledger Clerk in 2012 and finally expanded into becoming City Assessor in January of 2016. 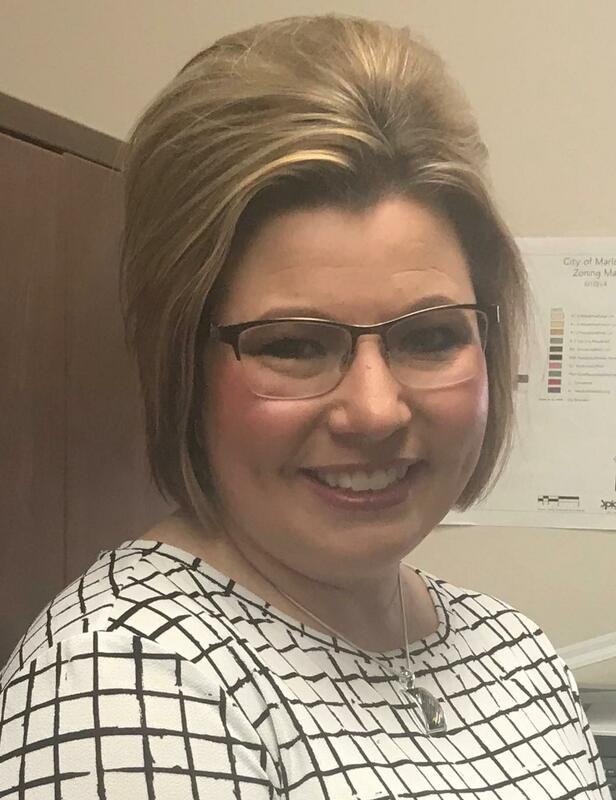 With over twenty years with the City of Marlette, Sarah has worked in several areas of local government including but not limited to utility billing, city cemetery, Community Park and pool, notary services, elections, etc. All of these responsibilities have strengthened her into the governmental employee she is today.Sarah is active in her community and enjoys being involved with various City committees. She is Secretary/Treasurer for the Marlette Area Chamber of Commerce, a member of the Downtown Development Authority, a member of the Park Board committee, serves on the Silver Lining Awards committee, is a member of the GFWC Women’s Club, and is Secretary/Treasurer for the Sanilac County Treasurers Association and a member of the Sanilac County Clerks Association. Sarah also served just short of twelve years on the Marlette Board of Education before resigning. Sarah is a strong believer in continuing education and association involvement. 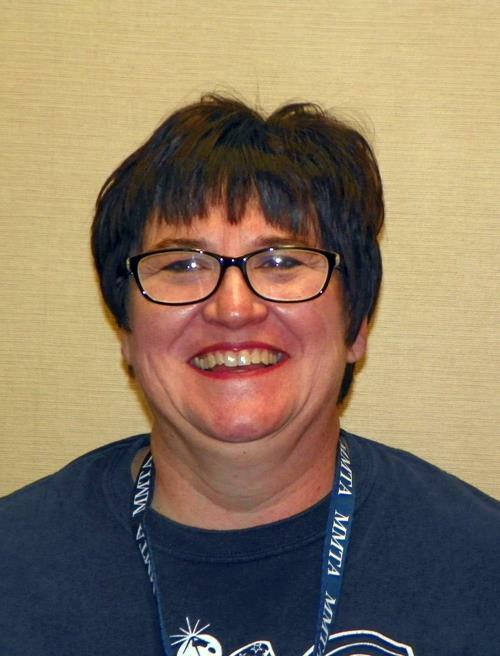 She completed the Basic MMTA Program in May of 2014 and received her MiCPT certification and graduated from the Basic Michigan Municipal Clerk’s Institute in March of 2015. Sarah regularly attends both the advanced MMTA and MMCA Institutes. Sarah had the opportunity to serve on the 2015 Membership Committee for the MMTA and has had a desire to get more involved since. The education and networking the MMTA provides is priceless. Outside of City Hall, Sarah is active in her church by serving as the Ad Board Chair, a teacher for the children’s ministry and sings on the Praise and Worship Team. Sarah is also the Varsity Softball Coach for Marlette Community Schools. Sarah is happily married to her husband Shane and they have three children: Zachary, Hannah and Blake. In her spare time, Sarah enjoys spending time with her family, reading, exercising and cleaning/organizing. Barb has been in municipal government since 1990, beginning her career with the City of St. Louis and advancing to the position of Deputy Treasurer. She left the City of St. Louis after 14 years to take the Treasurer position with the City of Ithaca. In 2005 the City of Ithaca combined the Clerk and Treasurer positions and this is the role she currently holds. Barb received her Bachelor of Business Administration Degree from Northwood University and Associate of Arts Degrees in Accounting, Marketing and Management. Since becoming a member of the MMTA, she has earned her CPFA, MiCPT and has served the membership on the Legislative, Winter/Spring Workshop, Membership, Newsletter, Fall Conference, Communications, Professional Development and Education Committees; as well as serving as Parliamentarian to the Board of Directors. 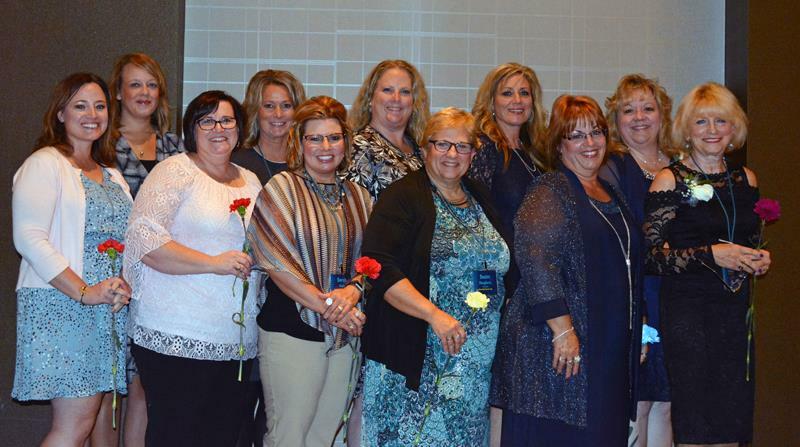 Barb serves on the MMTA Board of Directors and is currently the President. As a Director, she served one year as the Membership Chair and two years as the Education Chair. Barb believes that service to the MMTA is so important and the networking and education the MMTA provides are invaluable. The knowledge and experience our members possess and share make it truly an organization unlike any other, and she is proud to be a member. As Treasurer for the City of Ithaca, Barb has gained experience with a variety of property taxes incentives including IFTs, OPRAs, TIFs, Brownfields, MEGA credits, etc. Ithaca is home to three certified Industrial Parks, two Renaissance Zones, a DDA and TIF district, two OPRA districts and three 425 Agreements all with businesses utilizing several tax incentive and grant programs. The City aggressively goes after and has been successful in receiving many state and local grants. In addition to the MMTA, Barb is a member of the APT US&C, MGFOA, IIMC and the MAMC. Locally she serves on Board for the Gratiot Area Chamber of Commerce and is a member of the Mid-Michigan Women’s Resource Center. She helps the County Clerk train the Gratiot County election inspectors. In addition, she is a member of the Alma Elks Lodge #1400 and alumni member of Alpha Gamma Delta Women’s Fraternity. Barb enjoys volunteering and supports many local groups, school and community events. She and her son, Brandon, reside in Alma and enjoy spending time playing sports, attending baseball games and being with family and friends.